The 2014 NBA Draft is set to get underway on Thursday night in Brooklyn, kicking off what’s expected to be a hectic offseason. Five days before the likes of LeBron James and Carmelo Anthony hit free agency, the fate of the best draft class in years will be determined. Hours before the Cleveland Cavaliers must decide on the No.1 overall selection, there’s still a debate over who the team should choose. Before the start of the 2013-2014 college basketball season, Andrew Wiggins was almost a unanimous selection to be the top draft pick. 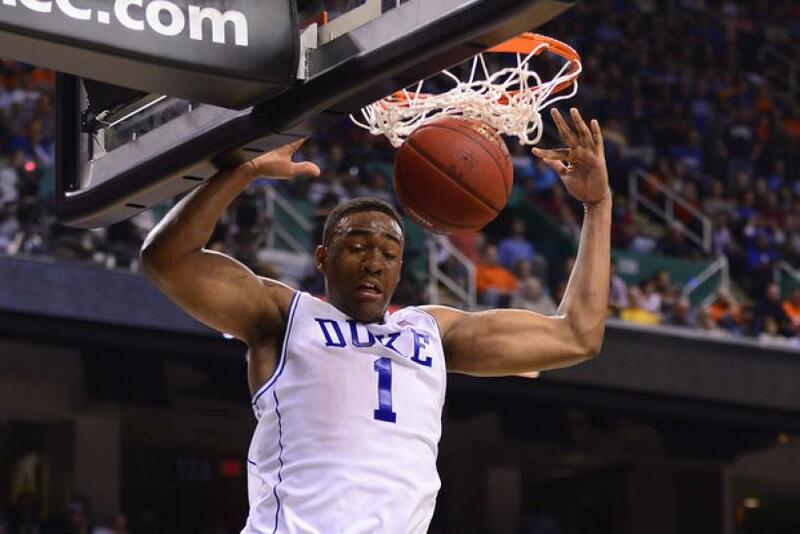 Now, he has serious competition in Duke’s Jabari Parker. This marks the third time in four years that the Cavs have the No.1 pick, but that might not be the case when the draft begins. The organization has reportedly been shopping the pick, and they may have a potential trade in place. According to ESPN’s Chad Ford, Cleveland has talked to teams about trading the Orlando Magic’s No.4 and No.12 picks. The Philadelphia 76ers, who have the No.3 and No.10 picks, could also be in play to trade for the top selection. There could be a few deals made on Thursday, since several teams have more than one first-round pick. Eight teams have multiple picks before the start of the second round, including the Phoenix Suns, who have three first-rounders. Teams that don’t have a first-round pick are looking to get a Top 30 selection. The latest rumors have the New York Knicks trying to trade for another pick, possibly by dealing Iman Shumpert. Alex Kennedy of Basketball Insiders reports that the Golden State Warriors, Portland Trail Blazers and New Orleans Pelicans are also looking to get in the first round. Because the 2014 class is considered to be so deep, any team with a top 10 pick could leave the draft with a future star. Joel Embiid has battled injuries, but he might be the most talented player in the draft. Dante Exum didn’t face much competition in Australia, but Ford reports that one general manager compared him to Kobe Bryant. Noah Vonleh, Marcus Smart and Julius Randle also have a very high upside. The draft will be held at the Barclays Center in Brooklyn, with tickets to the event starting at $15. As of Thursday morning, seats were still available at ticketmaster.com.